Like I said earlier, yesterday was my lazy day off. I accomplished a whole lot of nothing. It felt AWESOME. Breakfast: 3 scrambled eggs and some coffee. I’m loving eggs these day, plain and simple. Lunch: a bowl of some chicken veggie soup. It was good, but totally not what I was hoping it would taste like. 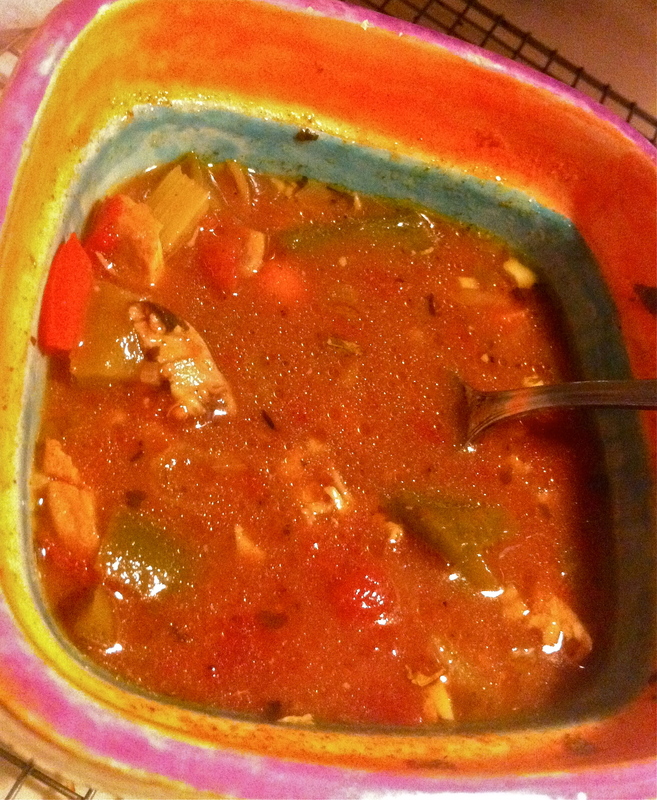 In to the slow cooker went some chicken, celery, carrots, bell peppers, chopped tomatoes, garlic, chicken stock, chile powder, and some cumin. It’s good, but didn’t hit the craving I had. Oh well, at least I got leftover soup for a while. Mid-day snack: an apple with some raw almond butter. It didn’t look yellow as I was eating it. Damn iPhone. Dinner: WAS SO GOOD! 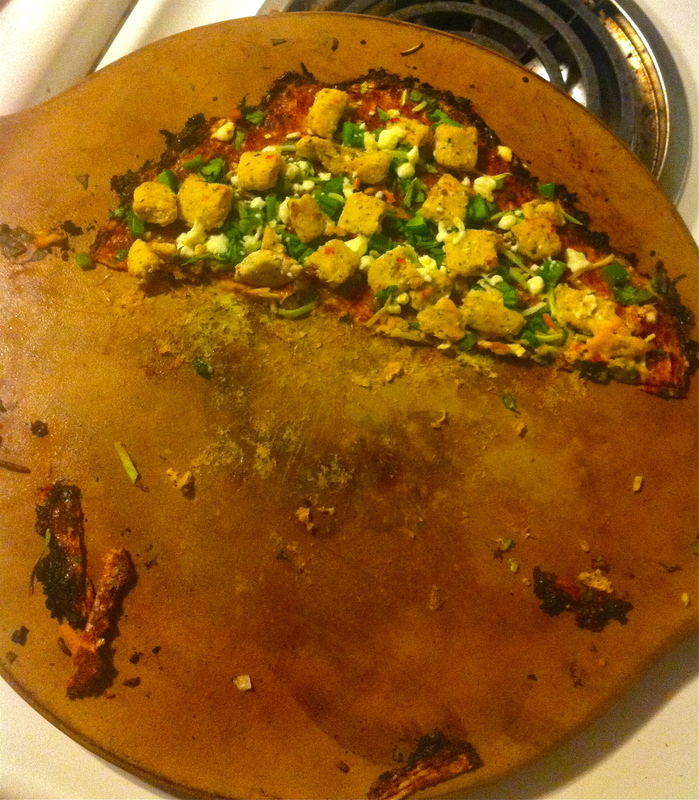 I tried the cauliflower pizza crust recipe I keep seeing around the blog world. The crust is grated cauliflower, an egg, some cheese and some seasonings. The cheese takes away the paleo factor, but it was so worth it on a Friday night. I topped the crust with some leftover homemade paleo-ish bbq sauce, spinach,chopped bell peppers, broccoli slaw, a chicken chili lime burger, and avocado. T’was delicious, even Cj loved it. I know I’ll be making this again! Check it out if you have a serious hankering for pizza. All this looking at food is making me hungry. Time to go cook some mahi magi Cj brought home along with cauliflower and carrot mash. I’ve never tried one before so I’m a bit excited. Looks so good! 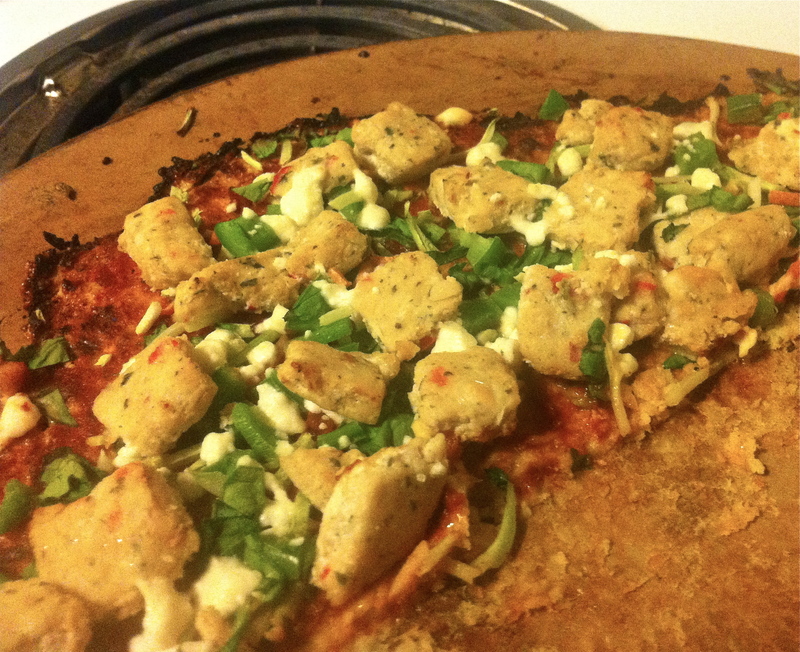 I haven’t worked up the nerve to do a cauliflower pizza crust yet…maybe this week! 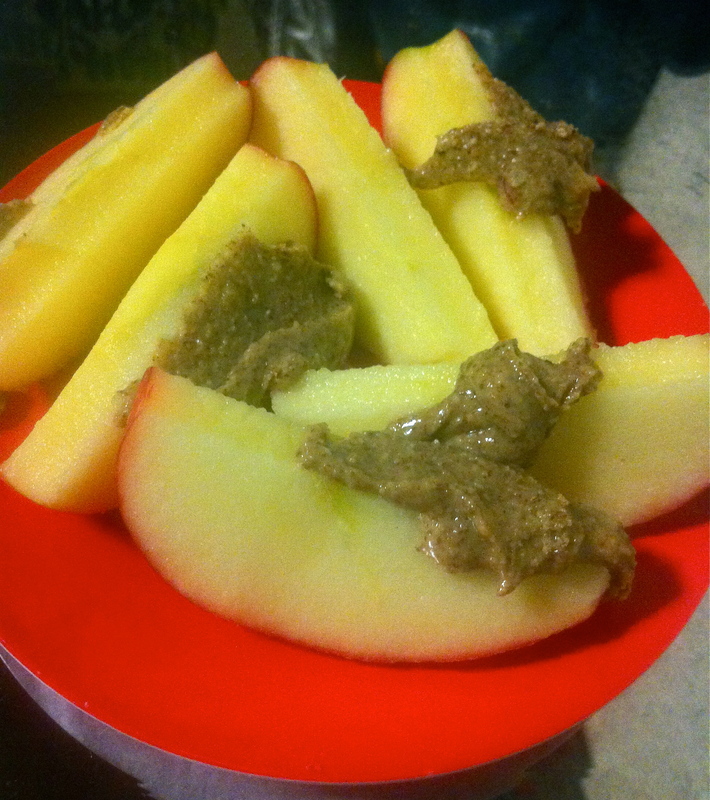 Apples and almond butter are my favorite snack : ).